The villa comprises 5 bedrooms. 5 bathrooms. 1 WC. fully fitted kitchen. BBQ terrace and a unique pool arrangement of baby pool. childrens pool and adult pool. Set in good sized. 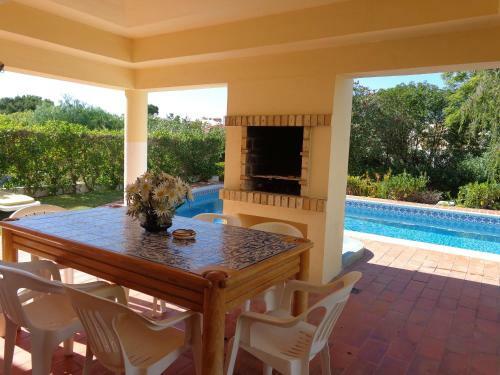 V4 Tower is a detached villa with a terrace, situated in Vilamoura in the Algarve Region. The air-conditioned unit is 1.9 km from Vilamoura Marina. Free WiFi is offered . Located in Vilamoura, just a 5-minute drive from Falesia beach, The Old Village offers self-catering apartments with 3 swimming pools. 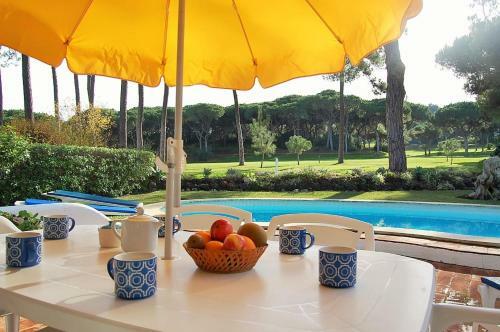 It is surrounded by a golf course and landscaped gardens.